A few weeks ago, I read an article about a blogger (and her family) that lives on a $14,000 a year income. Being a food blogger, I immediately had to check out the recipe section of Danielle's blog, Blissful and Domestic. Of course, I wanted to find some frugal meal ideas to add to my weekly menus! Since we love beans and I'm always looking for new meatless meals, I knew right away I'd be trying this crock pot soup recipe! I made a couple of small changes based on what we had in our pantry and since I'm not too fond of cilantro, I left it out. toss all ingredients into crock pot, and allow to cook on high for 3-4 hours. This soup was delicious! 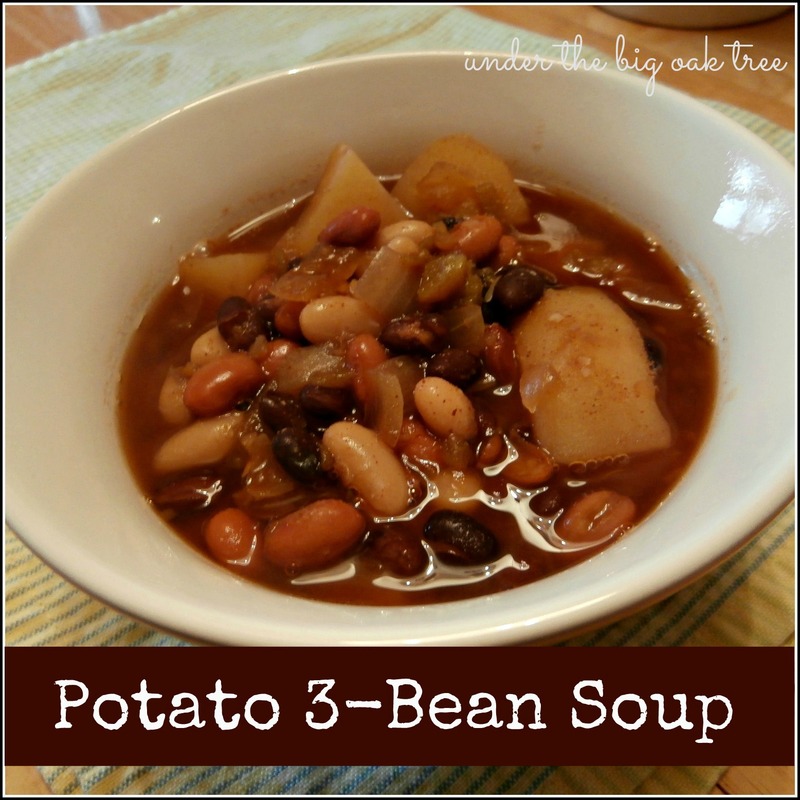 I'll admit that I wasn't sure about the combination of beans with the potatoes, but I loved it! So tasty and filling at the same time! Dry beans, cooked ahead of time (as Danielle suggests) would make this recipe even more frugal. This was a super-easy soup to throw together. I decided to make it on a very busy morning and had it assembled in no time! My only problem was that I forgot to plug in the crock pot and didn't notice until 2:00. My crock pot had this soup ready by 5:30 when set on high!